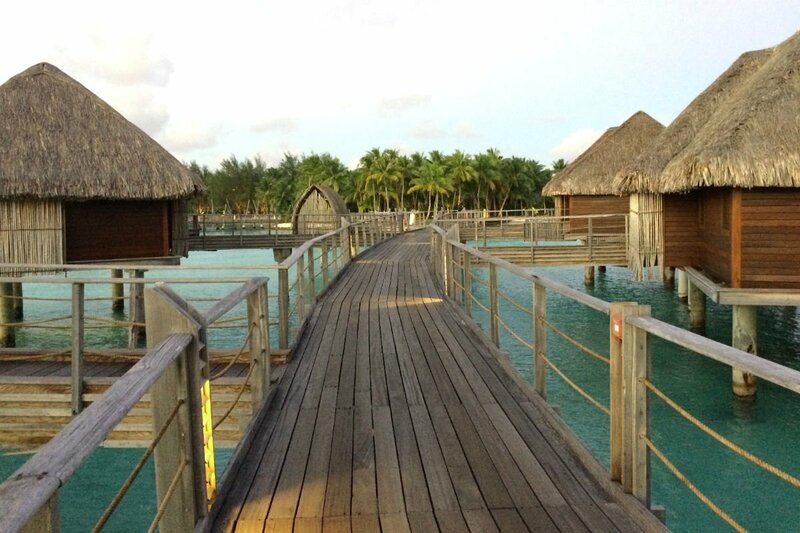 Away from the capital, and now on the beach at Four Seasons Bora Bora, I channel as much Gauguin as I can muster. I stare at the palm trees above me and wonder if Polynesian women learned their sway by watching them. I go back to my book, Typee: A Peep at Polynesian Life, by Herman Melville, while I sip a Beachcomber. 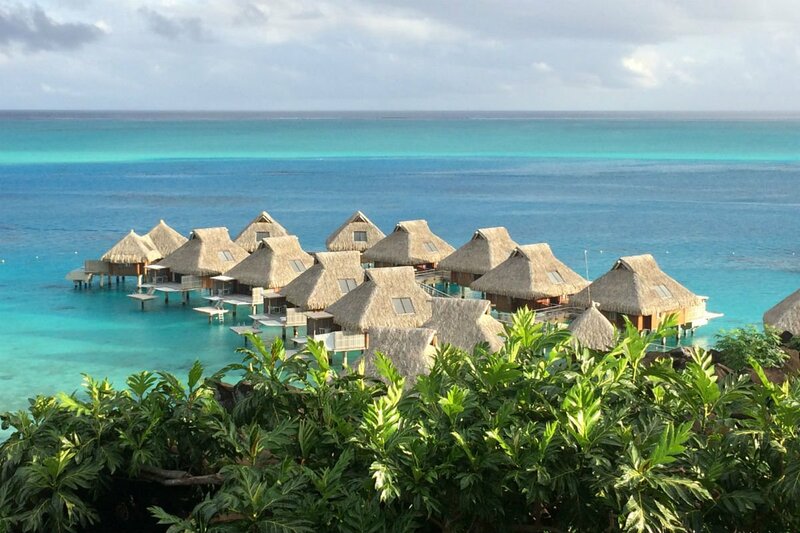 Conrad Bora Bora Nui opened in March 2017 after an incredible multi-million dollar renovation. The thatched-roof villas now feature natural timber-laden interiors, while a king bed looks out across the waterside balcony and azure blue water through gauzy white curtains, only rivaling the view from the decadent circular bath. 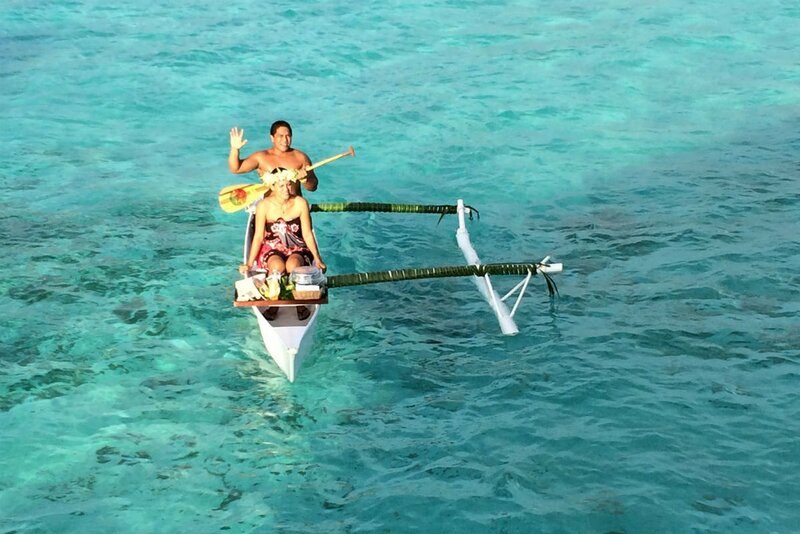 Especially memorable is the canoe breakfast, a smorgasbord of fresh croissants, omelets, and fruit brought to each over-water villa by handsome Polynesians on a classic outrigger canoe called a va’a. Like an offering from the gods. 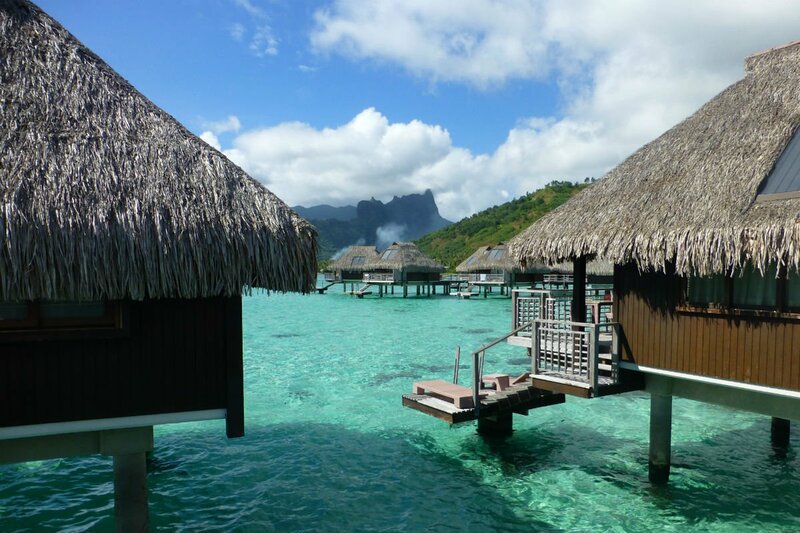 Four Seasons Bora Bora's secluded three-bedroom, beachfront villas combine indoor and outdoor living with a private infinity pool, expansive hammock-covered deck, and indoor-outdoor bathroom with a private, sun-dappled, freestanding tub, all on your own beachside oasis. With teak-filled interiors, the airy, spacious villas are perfect for families or groups. The spa is built as if it had been carved inside a trunk of a giant gardenia. Most luxurious spa scrub: Kahaia Haven treatment with black pearl powder. 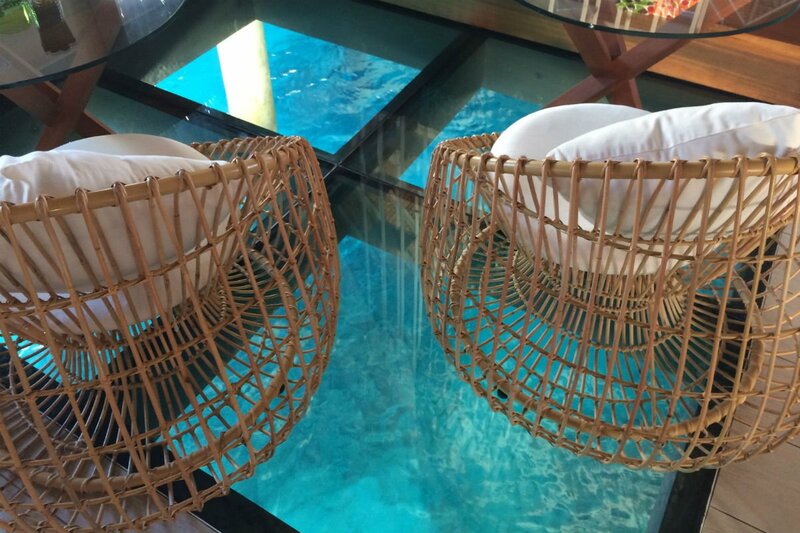 With its own dive shop, The InterContinental Bora Bora Resort & Thalasso Spa is great for divers, but for those unwilling to get under the water, a lagoonscape sees schools of fish swimming below your feet in the living room. The villas here have it all: high ceilings, Polynesian-inspired textiles and decor, bathtubs with ocean views, and enough surrounding lush greenery to make it feel like a jungle treehouse. Plus, it's more affordable than Conrad and Four Seasons. The ocean water thalassotherapy pools do wonders for toning legs and arms.